More and more individuals, companies and marketers are investing in blogging. With time, it has become one of the most effective digital marketing tactics that are easily available to all and will continue to be so for all those who wish to create a consistent identity for them or their brand’s presence online. WordPress, a living CMS is used by millions of users worldwide to publish their blogs. With its new and intelligent TinyMCE editor, additional security updates and improved features, WordPress is the solid platform for blogging and reaching people to an incredible extent. In this article, you will learn how to create your own WordPress blog in just 15 minutes. Whether you are a WP expert or a novice, you can create a highly usable, professional WordPress blog per your needs with Managed WordPress hosting. ZNetLive’s WP hosting plans are managed and specially customized for different user needs. With them, WordPress is auto-installed, thus eliminating the need for any WordPress installation. To start with, select WordPress web hosting plans – either Starter, Standard, Professional, Premium or Enterprise. All come with the latest Plesk onyx control panel and WordPress toolkit. All plans provide high performance, security, reliability, and insights. For more details, you can check here. For the sake of this demo, I have chosen the WP-Starter plan. People find you online through your unique web address. So, choose that domain name wisely that defines your site clearly and help people reach you in no time. Enter your desired domain name in the text box, as shown below. If it is unavailable, you’ll be receiving suggestions to choose another domain name. If you want to go for different TLDs besides .com, then select any of the TLDs from the drop – down menu as shown in the below screenshot. Click on the Search tab. If the domain name is available, then you will receive a congratulations message. 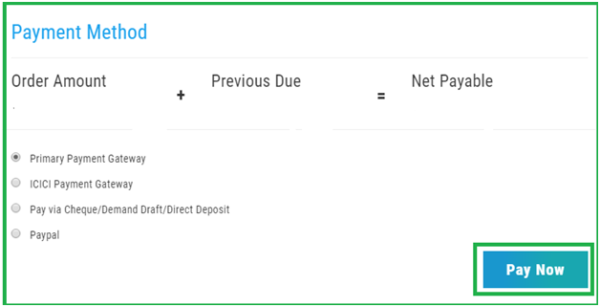 Next, you can select the time-period for the domain selected from the drop – down menu as shown in the image below. The longer you select (12, 24, or 36 months) the cheaper it gets. So, decide accordingly. Click on Add To Cart tab. The best part is – a .website domain name comes free with your new WordPress web hosting account purchase. 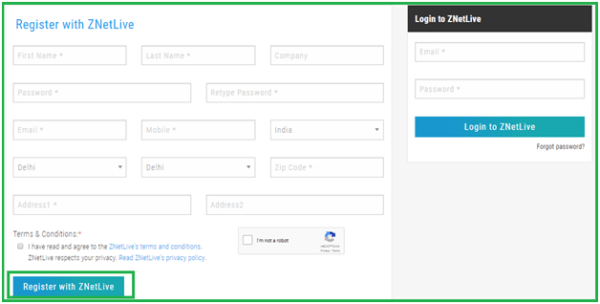 Fill in the registration form with your personal details, correctly and create an account. Once your account is created, a verification link will be sent to your registered email ID and OTP code to your mobile number, as mentioned in the registration form. You need to verify it. Out of the four available options, select any one payment method. Congratulations! Your basic blogging website will get live in minutes. You now have your own WP web hosting account. You’ll receive a welcome mail with all the details of your website, that will help you access your member panel as well as manage your site. Now, add wp – admin to the end of your site’s URL like https://www.yourdomainname.com/blog/wp-admin/ and log into the administration area of your blog with credentials received in the Welcome Mail. 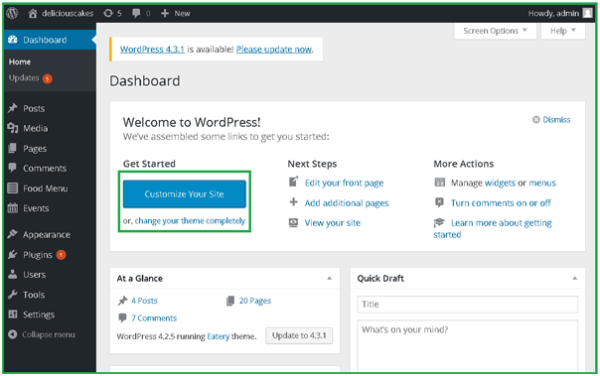 You will see the first screen – the WP dashboard that will help you to publish your first blog (Dashboard>Posts> Add New) and customize your blog further as per your taste. Shown in the screenshot below is the backend area of your website, from where you can create and manage your site’s content, comments, posts, media and more which your visitors will see at the front end. free WordPress hosting trial of 30 days with ZNetLive. For a start, you can take free WordPress hosting trial of 30 days with ZNetLive. If you have any doubt regarding WordPress or blogging, drop comments in the section below. Previous: Previous post: What is JioPhone?